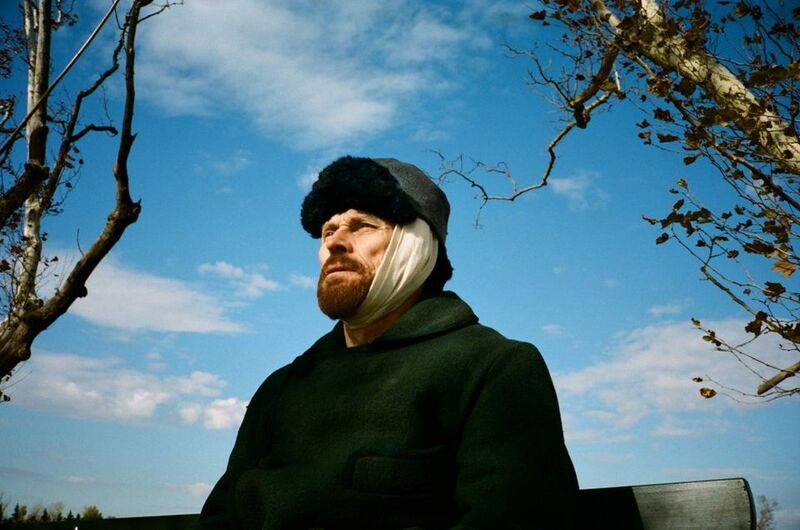 In At Eternity’s Gate, Julian Schnabel’s portrait of the last years of Vincent van Gogh’s life, Willem Dafoe plays the artist as a man locked into his painting—“It’s all I can do and, believe me, I’ve tried other things,” he says. The film, co-written by Jean-Claude Carriere, is set up as a long series of paradoxes, with van Gogh drawn to landscapes but constantly running through them, drawn to other people but making impossible demands of them, drawn to life but seeming ready to let go of it, stymied by positive reviews for work that his brother Theo can’t sell, lurching from obsession to lucidity. “Interesting things would happen, because we were shooting in places where he was. There were actually landscapes that were recognizable—still to this day—from his paintings,” Dafoe said of the shooting, during a preview of the film in New York on Friday. The actor, whose physical resemblance to Van Gogh can be startling, found another way to put himself in the artist’s shoes. “I was learning to paint,” Dafoe said—he is credited along with Schnabel and Edith Baudrand as a painter of the works in the film—“so it was a very strong experience”.